I have not been a loyal viewing member of the Sarasota Ballet’s 25th Anniversary Season, but it was impossible to ignore a program that offered both Sir Frederick Ashton’s rarely seen Enigma Variations and George Balanchine’s Stars and Stripes, his rousing tribute to New York City and the United States. During the last seven years, under Iain Webb’s direction, Sarasota’s hometown Sarasota Ballet has expanded to a company of more than 50 dancers with a well deserved, growing national reputation. 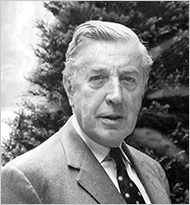 Part of that has been founded on the Ashton repertoire and the personal connections of Webb and Assistant Director Margaret Barbieri to both Sir Frederick and contemporary English choreographers. Credit also goes to the broadened artistic level of the company as a whole and, in particular, the expressiveness necessary to interpret the characters that occupy many of Sir Frederick’s ballets, especially Enigma Variations, an exquisite dip into a Victorian world of dreams and hopes. Sir Edward Elgar created Enigma Variations, Op. 36 in 1899, when he was a struggling composer, but there was no suggestion of a ballet until 1968, when Sir Frederick based his choreography on Elgar’s own descriptions of friends and family. At the Van Wezel Performing Arts Hall over the past weekend, the Sarasota Orchestra, under the baton of Ormsby Wilkins, set the mood of the evening as a scrim rose to reveal an elegant set (on loan from the Royal Ballet) featuring a garden surrounded by autumn leaves. There was a staircase leading up to a small porch on stage left and a hammock near the other side of the set, along with chairs and a table set for tea. A scrim like a sheer curtain covered part of the back of the stage. Elgar’s friends entered the garden from behind this scrim, like shadows emerging from the past, while the ballet revealed its stories and connections like episodes in an old-fashioned novel. There were 14 main characters and an additional group of children in the ballet; the latter came and went and played circle games. David Tlaiye was a restrained Elgar; Amy Wood as his wife — who “was a delicate inspiration” — was graceful as a woman whose swooping, yearning backbends captured the mood of the period. Kristianne Kleine, Anais Blake, Nicole Padilla and Danielle Brown were the various women in Elgar’s circle. Perhaps it was a result of the period dresses they wore, but a softness and expressiveness infused each of their variations, transforming the choreography into revealing movement. The garden was a place of constant activity, with friends coming and going. Logan Learned jumped and leapt as George R. Sinclair; Ricki Bertoni dashed around the stage on a tricycle; Daniel Rodriguez (Nimrod) gave Elgar the good news about his success as a composer; Alex Harrison (Troyte) showed off his fast footwork; Edward Gonzales partnered with Kristianne Kleine in a duet; Kyle Hyoshi balanced on a bicycle. And I have only mentioned some of the characters. Though the performances were vivid, it was Sir Frederick Ashton’s genius that connected the music, the mood, the subtle gestures and the movements of the individual personalities to create the world of Elgar’s notation. Using a classical ballet vocabulary and his theatrical experience, Sir Frederick blended observation and story into a charming depiction of friendship. Enigma Variations is a ballet that I, for one, would like to see again for its gentle understanding of what it is to be human. Star and Stripes is the Russian-born Balanchine’s love letter to his adopted homes of New York City and the United States. It is a fun ballet that begins with a squadron of 12 girls in pink tutus, military uniform jackets and white gloves, marching and kicking to the orchestrated Sousa marches (arranged by Hershy Kay). Though there is a “leader” for each of the five squadrons, the focus of the choreography is on legs: legs kicking and kicking; legs stretched in jumps; and legs marching in unison in a variety of formations and drills, making the dancers look like a group of animated toy soldiers. The footwork throughout the entire ballet is typically fast, complex and rhythmically challenging — as with most ballets choreographed by Balanchine. True to his classical heritage, Balanchine inserted a traditional pas de deux before the rousing final section. Victoria Hulland as Liberty Bell danced with her usual ease and grace as the coquette flirting with her partner, Ricardo Rhodes. Rhodes as El Capitan managed all the tricks and the bravado posturing of the captain in one of Balanchine’s technically demanding and challenging variations. It was as if the fun of the previous sections of the ballet had been forgotten, and the ballet could not finish without a nod to the spectacular, with one-handed overhead lifts and multiple split jumps for Rhodes, who has become a stronger and more confident dancer. There is no traditional narrative in the ballet. Instead, the rhythms and the melodies of John Philip Sousa’s familiar military marches are the story in Stars and Stripes — with, perhaps, a snide glance at military culture. If there is any doubt about Balanchine’s overall intentions, though, the resounding finale says it all: It brings out all 41 leaping, kicking dancers/soldiers to fill the stage while a very, very large image of the American flag is lowered from above. With Balanchine choreography, there is always the challenge of being true to the Balanchine style of perfect musicality and the need for the dancers to travel quickly through the classically based vocabulary. Could the dancers during this performance have been a little sharper moving in and out of their formations? Maybe. But the Sarasota Ballet rose to the occasion and, to my eye, met the Sousa marches on a level playing field.